Days Are Done are Emmy Kay, Adam Lewis and a guitar. 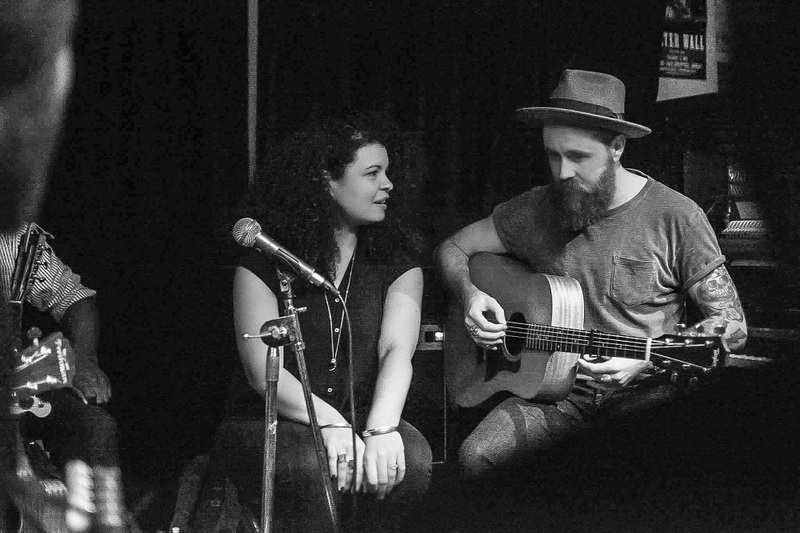 Based in Kingston, their debut single ‘Turns To Dust’ was played on daytime BBC Radio 2 and they recorded live sessions for Nashville’s WSM Radio and BBC London. We spoke to the duo about their latest release ‘You’. We thought it was important to try and capture the energy of what we do live. What was the biggest lesson you learnt in 2016? What was the musical highlight of 2016? Adam: For me I think supporting Michael Kiwanuka in our hometown of Kingston - it was a great venue, great crowd and we’re both big fans of Michael. Emmy: I think the band really cemented itself last year - we played close to 200 gigs and there are so many little moments on stage where I felt another part of the band ‘click’, it was just a great journey to be on. What is your musical highlight of 2017 so far? Adam: We both love the new Rodney Crowell album - every song is killer. Who are you excited to hear from in 2017? Adam: John Moreland’s new record just came out and it’s great - also looking forward to the new Jason Isbell and Nathaniel Rateliff records. Emmy: Every year I obsess about a new Kate Bush album and it’s been so long now. Maybe this’ll be my year! Adam: The single’s called ‘You’ and it’ll be on our EP which is coming out in August. All the songs are written just the two of us and a guitar. I think the single and also the upcoming EP is really a product of where we’re both based (Kingston-upon-thames) with its new vs old vibe and the combination of our different musical influences. We thought it was important to try and capture the energy of what we do live and I think Sean (Genockey, producer) has really done that. We recorded all the vocals at the same time too. We also wanted the record to have that old-school analog vibe - and not a super-clean, over-produced record with all the personality auto-tuned out. We’re excited for people to hear it. Simon & Garfunkel - for the simple songwriting plus the conflict. The Lumineers - for their pop edge. Gretchen Peters - theres an honesty to Gretchen’s songwriting we both love. Emmy: Days Are Done is very much a product of our environment, but also us as writers. I listen to the radio every single day - I’m a big pop fan but we both listen to a lot of classic bands too. I think Adam and I defiantly push and pull each other in different directions writing wise. We wanted this first studio EP to be a sort of ‘snapshot’ of all that. Four songs to listen to if you’d never heard of us as a band. Emmy: Some kind of big cat maybe? Weirdly calm, does its own thing, then suddenly turns! Adam: Thats hard! Push, pull, intimacy, conflict, honesty. Adam: Slash from Guns N Roses - he was my guitar idol as a kid, and I still think he’s one of the best guitarists on the planet! Emmy: Ahh, I’m not sure. I’d love to duet with Nick Cave though. Adam: That’s tough! ‘Idlewild’ by Gretchen Peters or maybe ‘Living For The City’ by Stevie Wonder. Emmy: This would probably change every day but today its ‘Louisiana 1927’ by Randy Newman. Emmy: Can we go back in time so I can have Taraji P. Henson? I love her! Other than that I’ll have Bill Murray. It can be one of those surrealist films. Emmy: I’m obsessed with horror films. I watch them to calm down. Adam: I make cigar box guitars in my spare time (not that I really have much of that right now!). Listen to ‘You’ on SoundCloud below. For news and tour dates go to daysaredone.com.